The Foursquare Church’s executives lead our mission and vision. They also bring healthy strategic and spiritual oversight by partnering with our U.S. districts, area missionaries and global council. Glenn Burris Jr. is president of The Foursquare Church. A senior pastor and seasoned administrator for over four decades, he now oversees nearly 1,900 U.S. churches and congregations, holds an honorary Doctor of Divinity degree and serves on Foursquare’s Global Council. Tammy Dunahoo is general supervisor and vice president of U.S. operations for The Foursquare Church. She has her master's in ministry leadership and is now working to achieve her doctorate. Tammy has served as a church planter, a district supervisor and in many interdenominational initiatives. 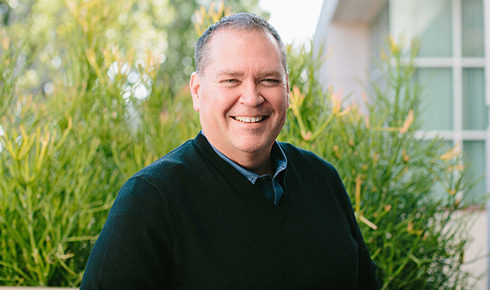 Ted Vail, Ph.D., is director of Foursquare Missions International (FMI) and vice president of The Foursquare Church’s global operations. With a doctorate in intercultural studies, he has served as a missionary to Japan and Mexico, a director of Foursquare Disaster Relief and an FMI area missionary. Ron Thigpenn is chief financial officer (CFO) and treasurer of The Foursquare Church. With a Master of Divinity degree and nearly 40 years of experience in the financial field, he propels Foursquare’s financial operations forward with integrity and serves as associate pastor at his local church. Adam Davidson is The Foursquare Church’s chief operating officer (COO) and corporate secretary. Instrumental in strategic planning and management, he has been an executive pastor for years and actively invests in young adult ministry at his local church. Foursquare is structured into 11 U.S. regional districts. This allows for local leadership who understand the people and culture our pastors are called to serve. Area Missionaries care for our missionaries worldwide. Meanwhile, our Global Council of indigenous leaders direct the overall vision of Foursquare’s mission. Our Global Council is a body of Foursquare leaders, elected to represent nations with Foursquare presence worldwide and direct the vision of Foursquare’s mission. Each person on this council is also what we call a national leader: someone, often indigenous, who oversees all Foursquare church work in the nation where they live. Currently, Foursquare’s Sri Lanka National Leader Leslie Keegel presides as our chairperson, bringing spiritual leadership to our international family.